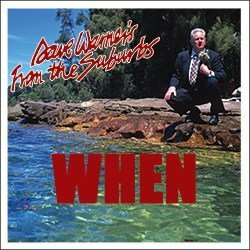 The original Dave Warner’s From The Suburbs’ The Victoria Tapes recorded at the Victoria Hotel, June 1977. The band was Dave Warner (vocals, keyboards), Johnny Leopard (guitar), John Dennison (keyboards), Haydn Pickersgill (bass), Stuart Davies-Slate (drums). Meanwhile in the Suburbs, Kookaburra Girl, Free Kicks.